We are now into week three of the TRANSSIZ cruise to explore sea-ice processes in a seasonal Arctic environment. To date, we have successfully completed our work at three stations alongside ice floes and have really begun to establish a sampling rhythm. 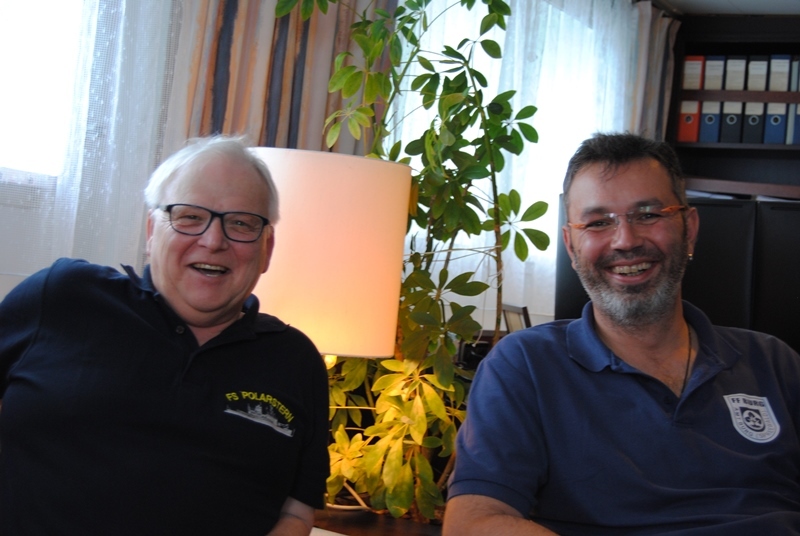 Now that we have a handle on our own workflow, the Captain and Doctor of the R/V Polarstern were kind enough to grant us an interview to answer a few questions about how they came to be in leadership roles on such a famous research vessel, and what they enjoy most about their work: The Captain’s Blog! Tell us a little bit about your career paths. 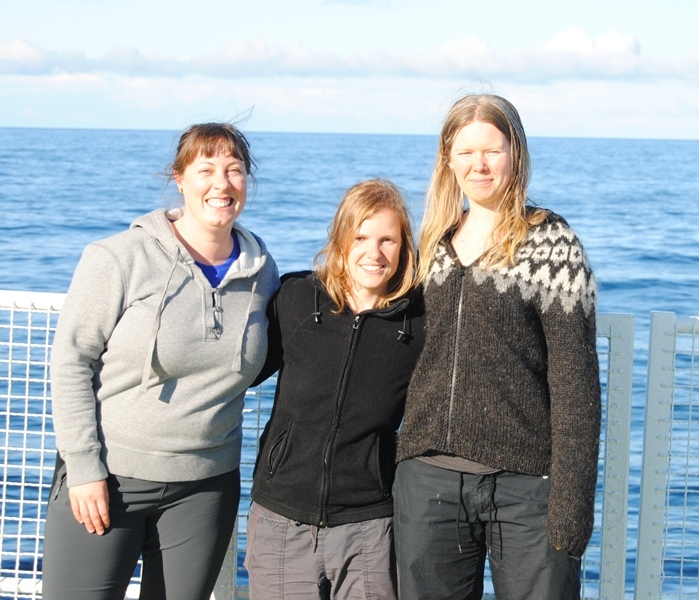 How did you come to be in your position on the R/V Polarstern? Captain Thomas Wunderlich grew up near Berlin and had a father who was also a seaman. As a kid he always wanted to be Captain of a vessel – that is, until his mother told him that “the Captain goes down with the ship!” He then considered being a policeman or even an insurance agent or accountant. However, times changed and there was a period in the German shipping industry when maritime officers were actively recruited. Captain Wunderlich attended university and received a diploma in nautical engineering, and in November 2004 he became Third Mate on the R/V Polarstern. He was then promoted to Second Mate in 2005 – 2006 when he shifted to the R/V Meteor. Up until 2012 he worked aboard both the R/V Meteor and R/V Polarstern, and it was during this time that he was nominated as a Captain. The ship’s Doctor, Norbert Spilok, was a surgeon at a small hospital in northern Germany for over 38 years. His work was stressful and involved working more than eighty hours per week and seeing over one hundred patients per day. About 15 years ago he fortuitously saw a newspaper advertisement for a position as ship’s Doctor, and decided that when the pace became too much, he would go to sea as an ‘exit strategy’ to ease his way into retirement. Our Doctor has been on Polarstern since 2012 and previously spent four weeks on the Meteor. This summer is his last tour and he will be retiring in August after many years of service and adventure. What do you enjoy most about working on a research vessel? The Captain tells us that the majority of mariners are employed on merchant vessels which travel from point A to point B on very strict timelines with a focus on economic efficiency. 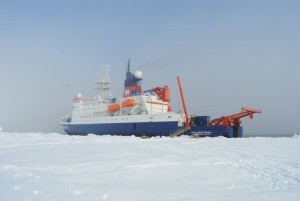 In contrast, on a research vessel like the Polarstern, you can sail and command the vessel using a wide variety of skills learned in university. You know the time and place of departure and arrival but really have no idea what will happen in between. You know there is a favourite research area where the scientists want to go and you try everything to arrive to this research area but there is always uncertainty. This means that every trip is a new adventure and the work requires ongoing logistical planning because circumstances can change quickly based on a variety of factors such as ice conditions, weather, equipment, and also science priorities. Of course, the Captain particularly enjoys making scientists happy and having the feeling of the entire crew (i.e., the officers, engineers, deck’s crew, and the scientists) all working together successfully to achieve a common goal. Dr. Spilok’s favourite part of his job aboard the Polarstern is of course working with patients. However, in addition to being responsible for the physical health of all cruise participants, the ship’s Doctor also helps with administering food management and hygiene issues and also organises the favourite movie night. What happens if the Doctor gets sick? The Doctor says that his wife asks him this all the time! Fortunately, maritime officers study emergency medical procedures for half a year and are trained and authorized to perform medical procedures beyond the duties of a nurse. In addition, the Polarstern has a medical monitor that displays a patient’s blood pressure, heart rate, blood oxygen and carbon dioxide content live on a screen in a Bremerhaven hospital, enabling 24-hour support for the ship’s Doctor and nurse. Further, these days there is a strong maritime support network, so the vessel could transit to the nearest port of call or summon a sea puma for evacuation in a life-threating situation. Overall, preserving human life has highest priority. How much shore leave do you get per year, and what is it like to adjust to life on land after spending time away at sea? The Polarstern crew works half a year at sea and half on shore leave, divided into three-month segments. 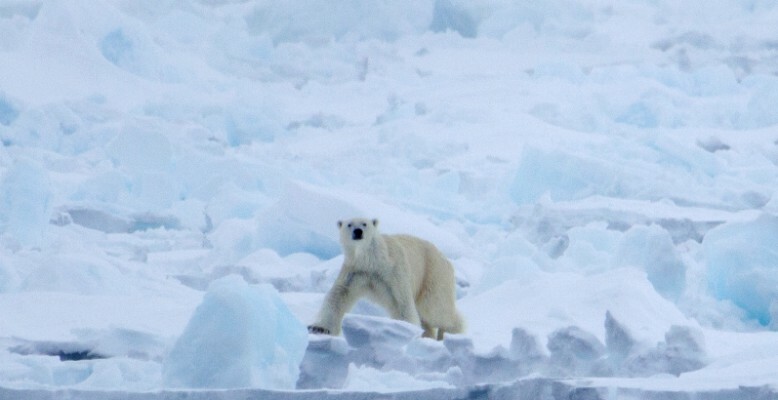 They typically travel to Antarctica for three months, have a crew change, and return to tour the Arctic three months later. The vessel often operates with the same crew on rotation, and everyone becomes quite familiar – but not like family. Boundaries of privacy are always respected so that everyone gets along. After all, there are about one hundred people onboard sharing a very small living space! Both the Captain and Doctor agree that during the three months at home it’s very important to readjust to ‘normal’ life and enjoy all the holidays and visiting with family and friends before heading back to sea. The Captain says that no matter how many years you have gone to sea, the hardest day is always when you leave home to return to the vessel after spending time with family and friends. 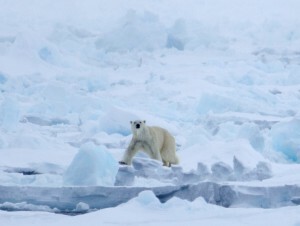 In which polar region do you prefer to work, the Arctic or Antarctic? Thanks to Captain Wunderlich and Dr. Spilok for sharing their interesting stories with us. Now we are looking ahead to next week, when we reach the halfway point of the cruise. Stay tuned until next time! 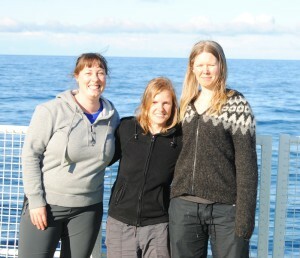 Your Friday Blog Team: Kirstin Werner, Meri Korhonen, and Shannon MacPhee.